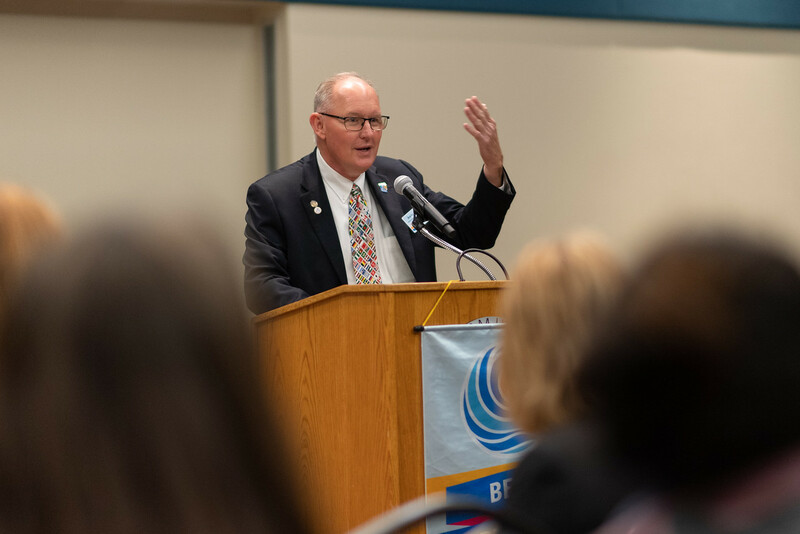 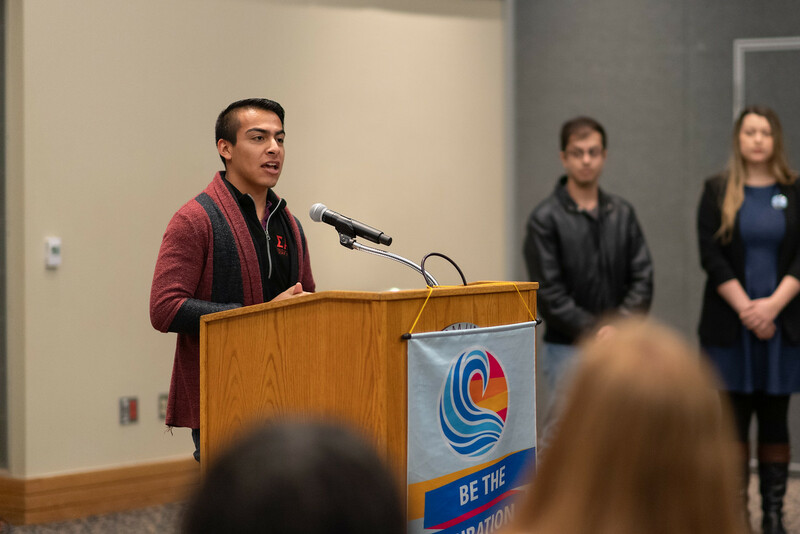 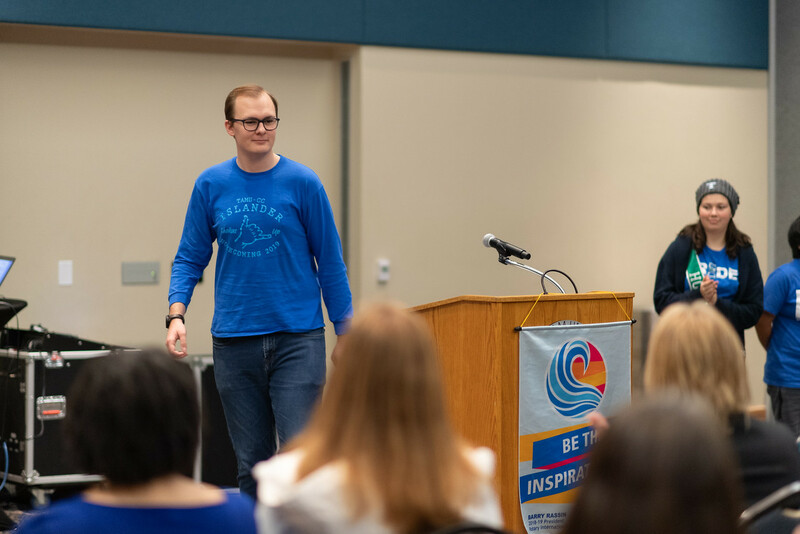 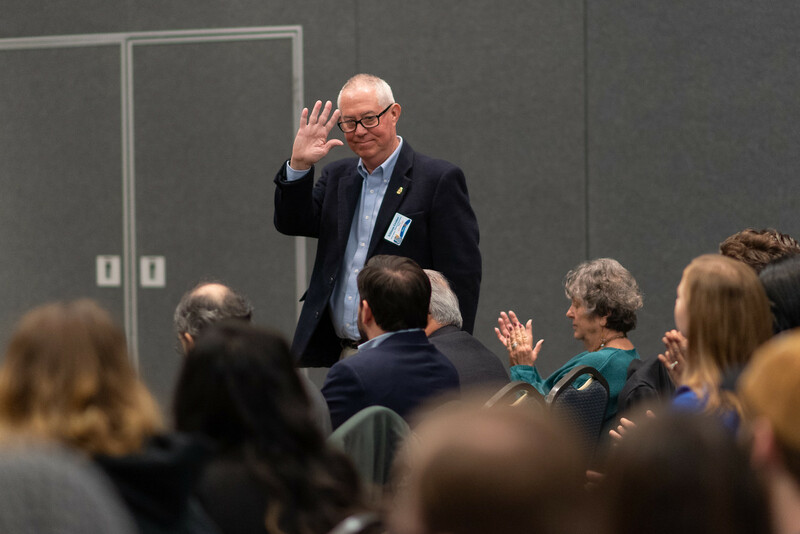 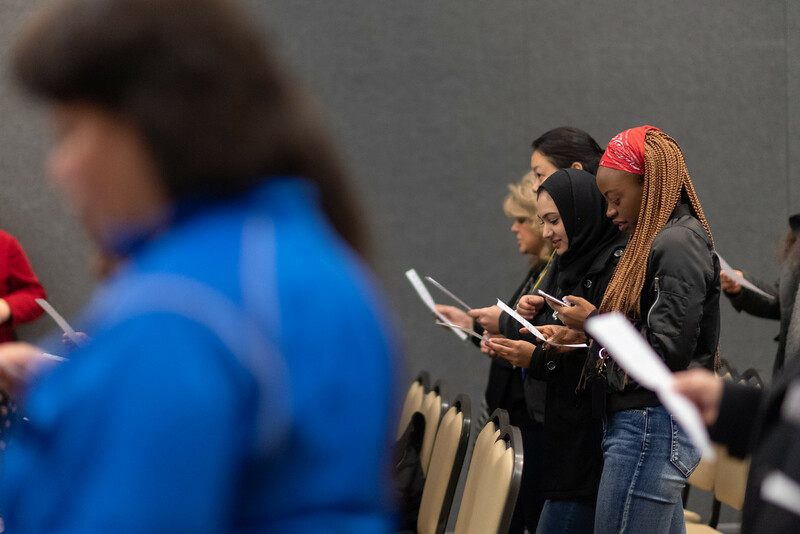 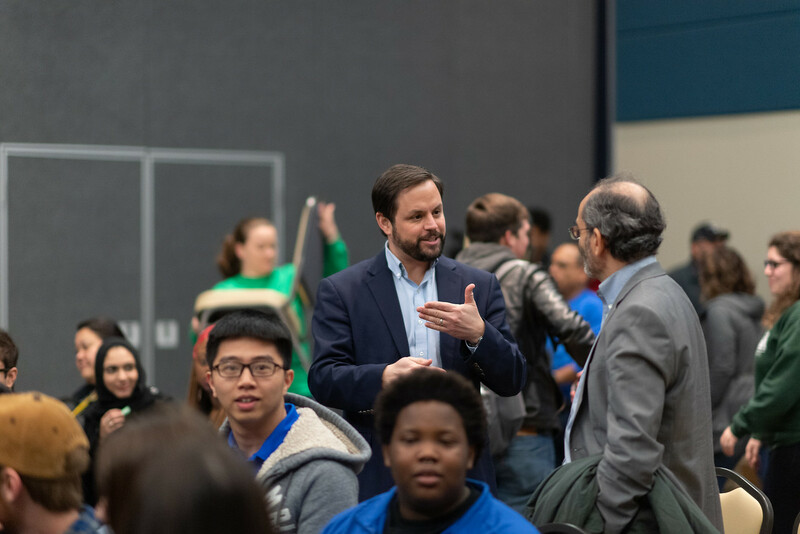 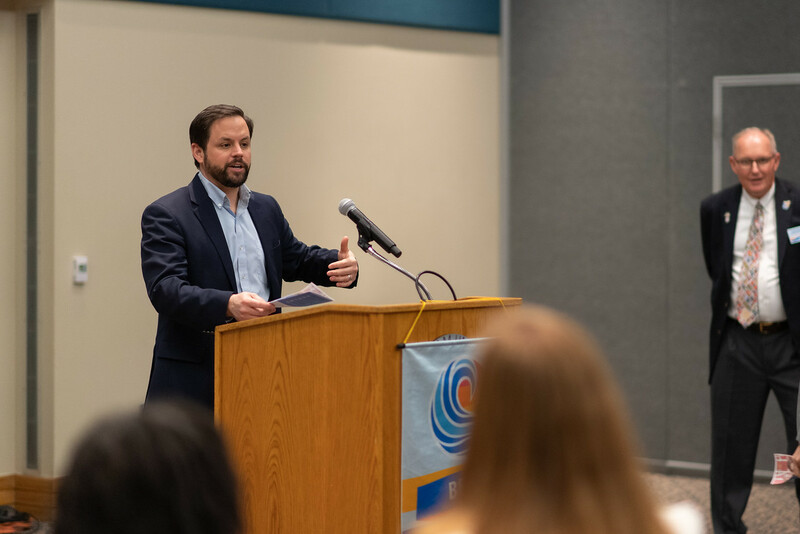 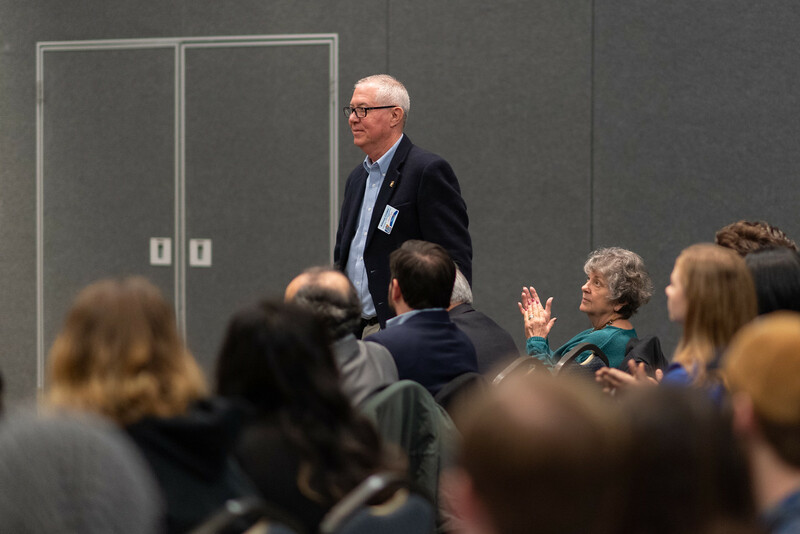 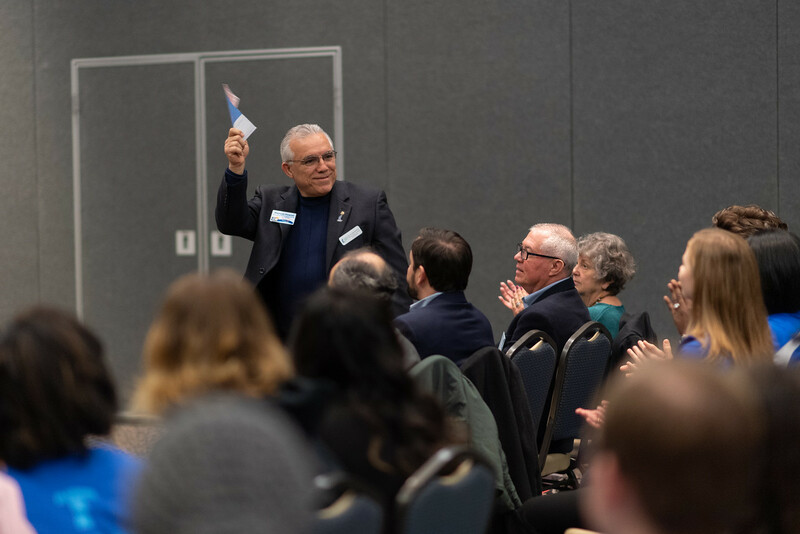 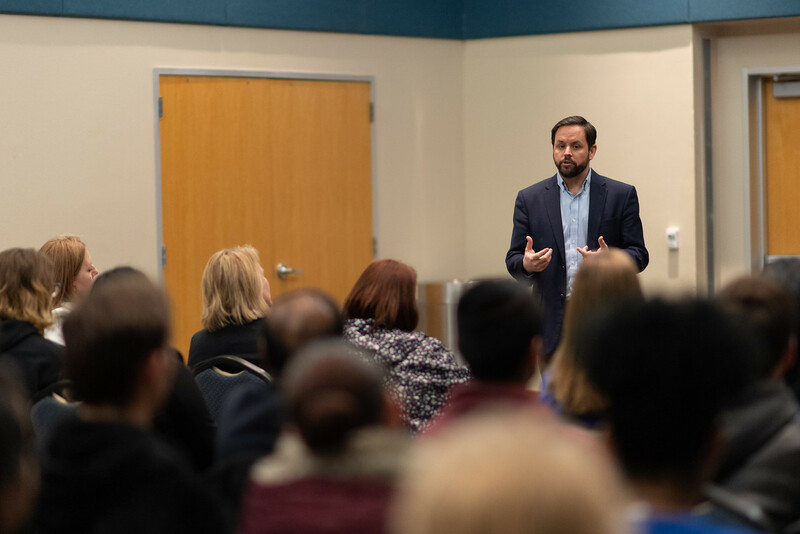 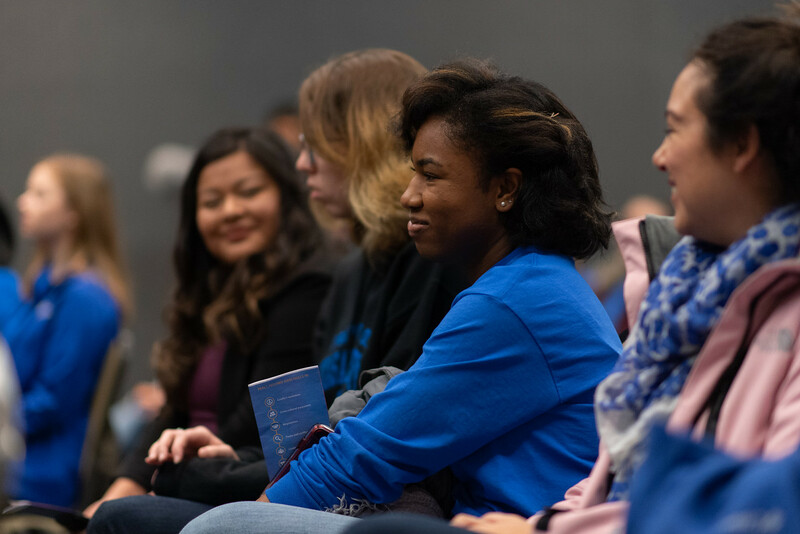 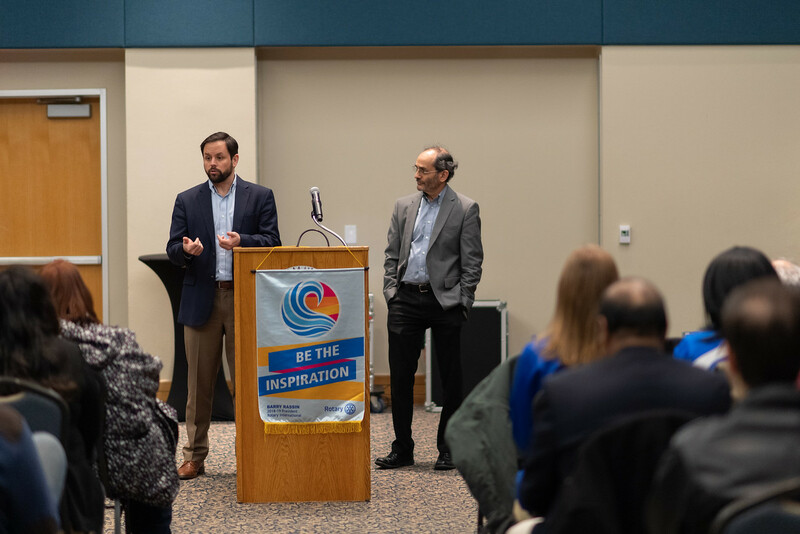 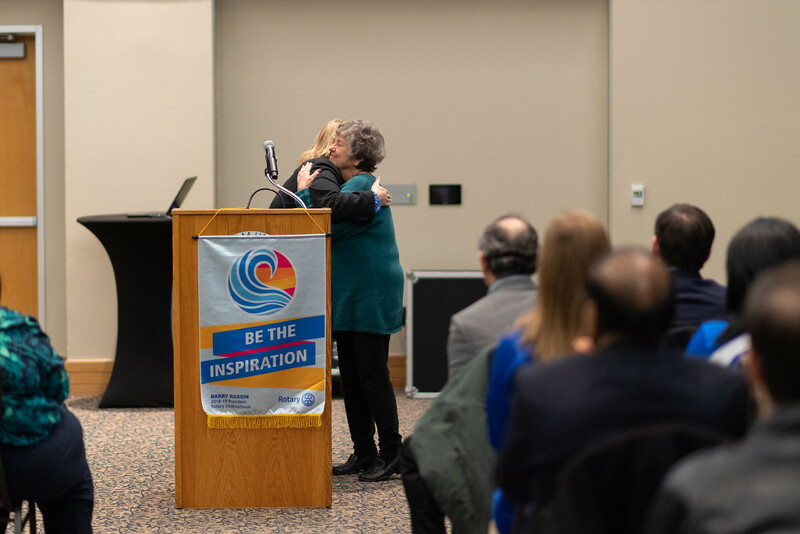 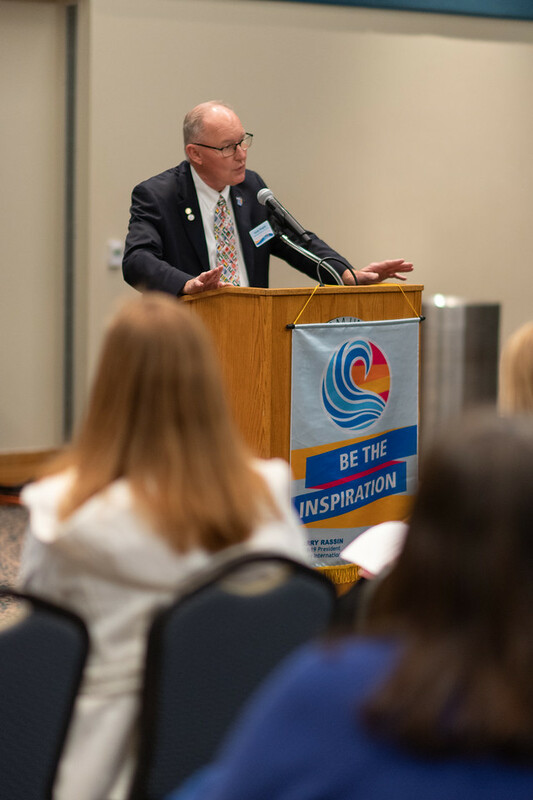 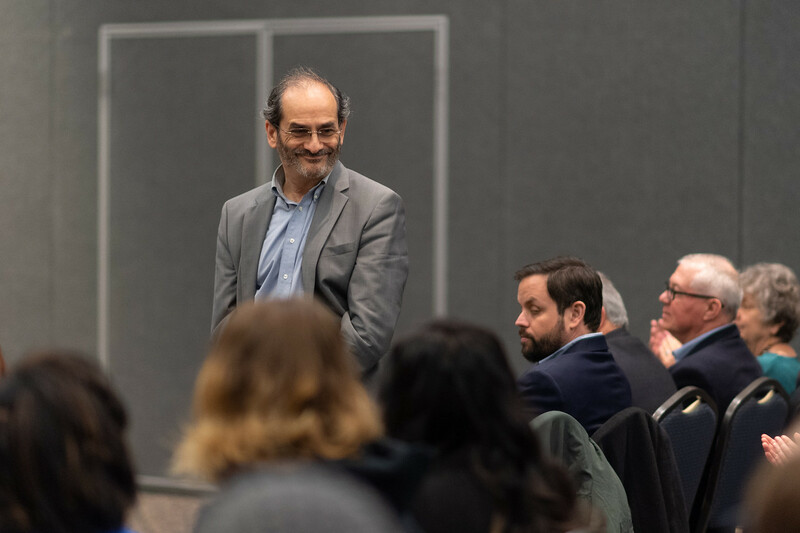 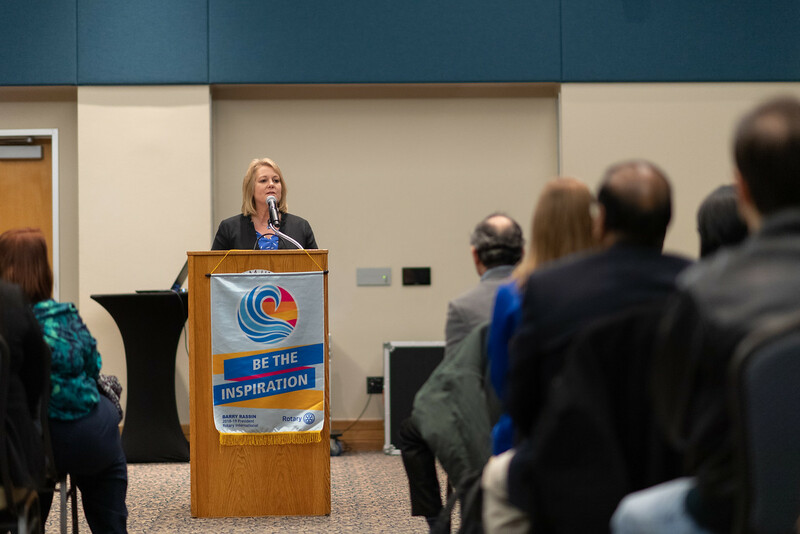 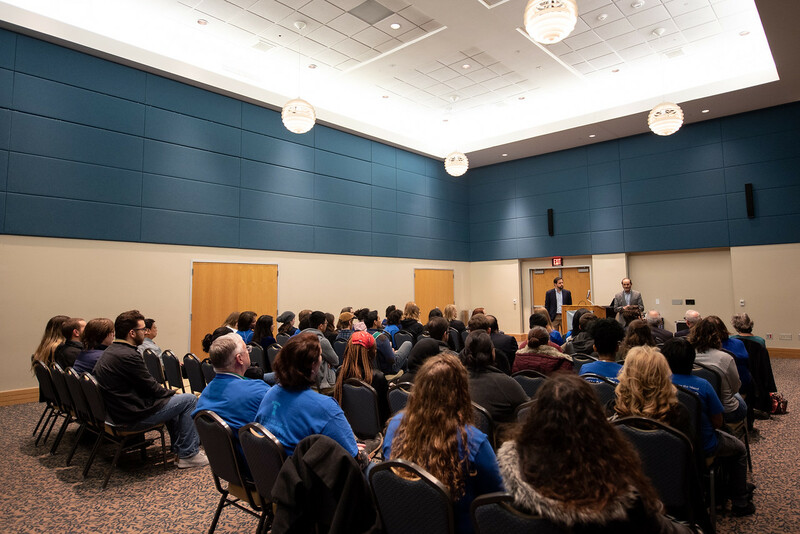 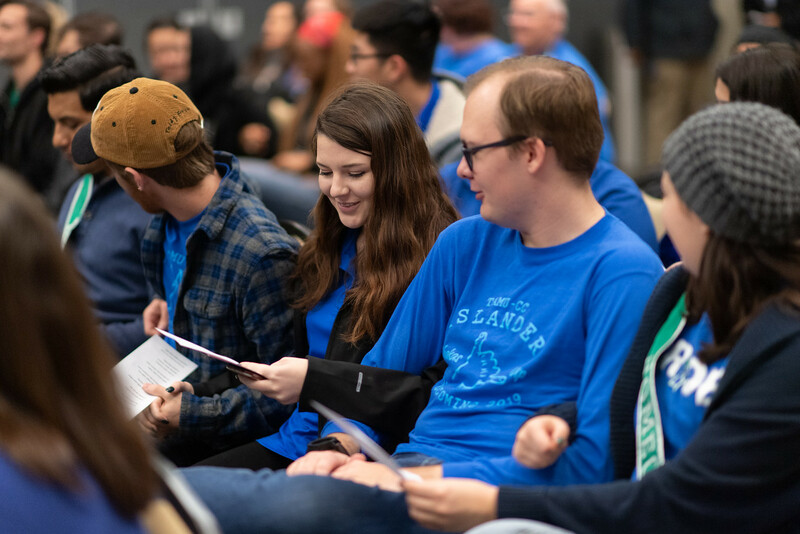 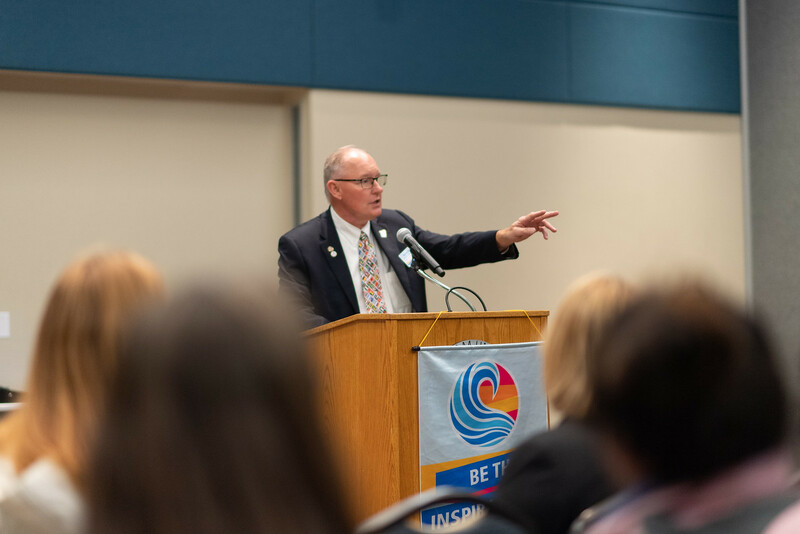 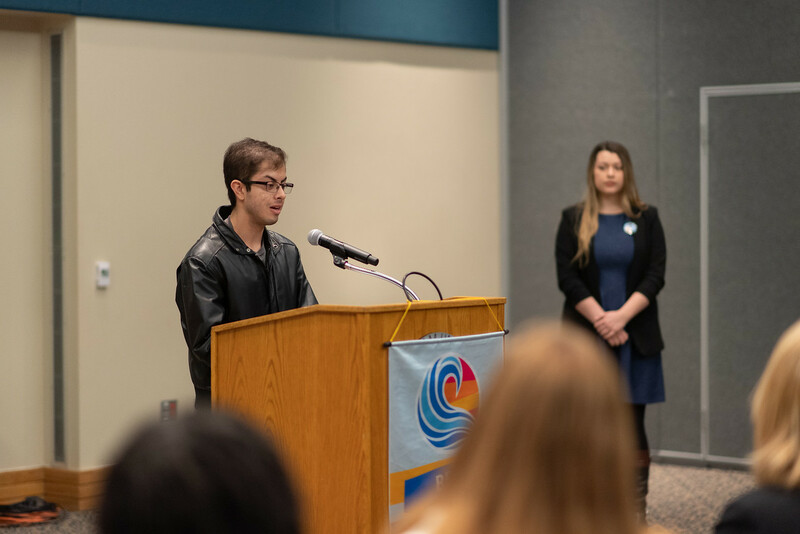 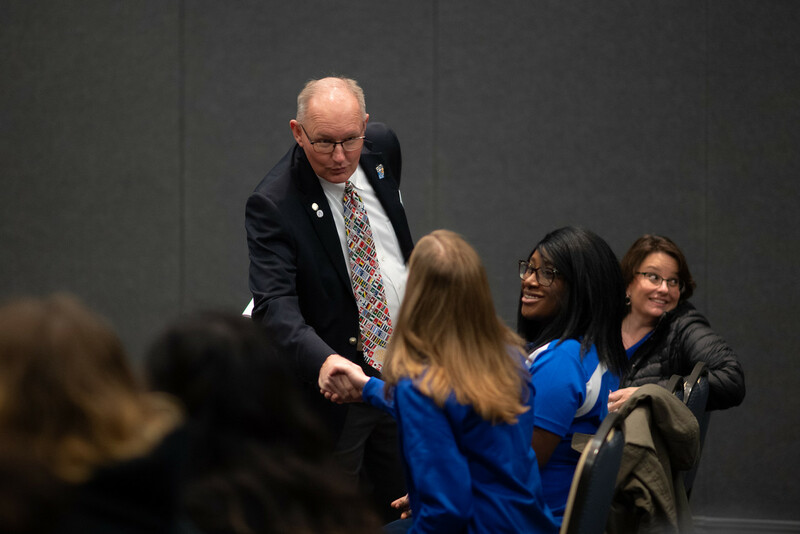 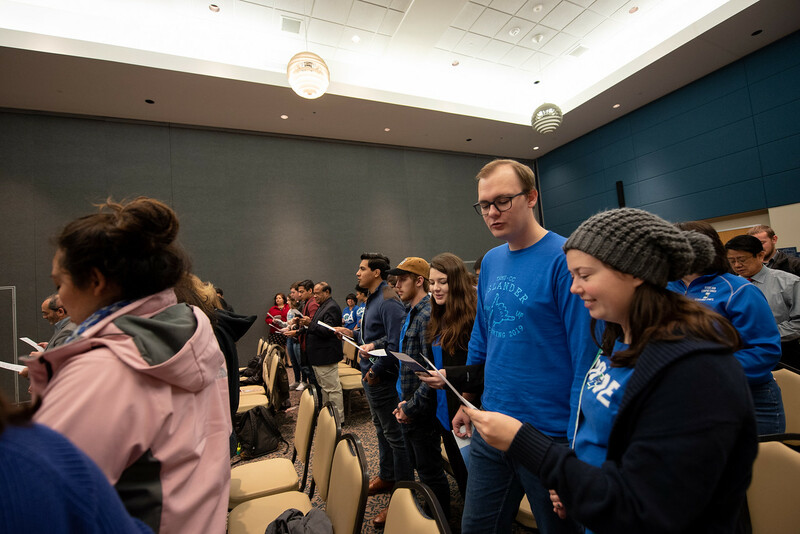 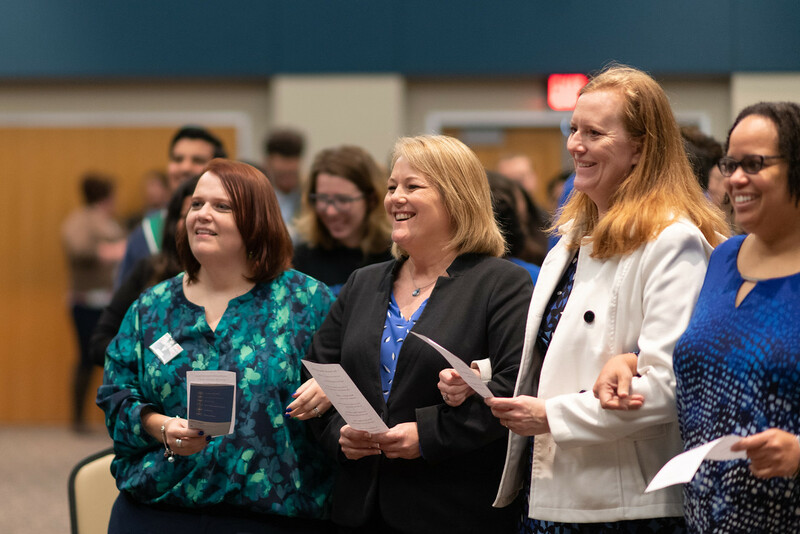 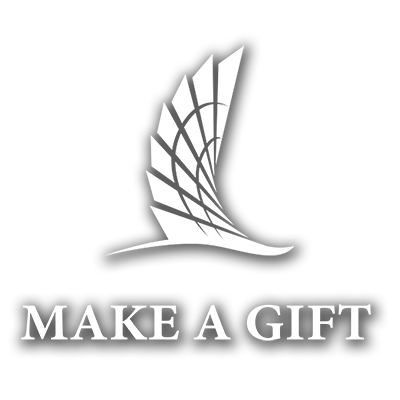 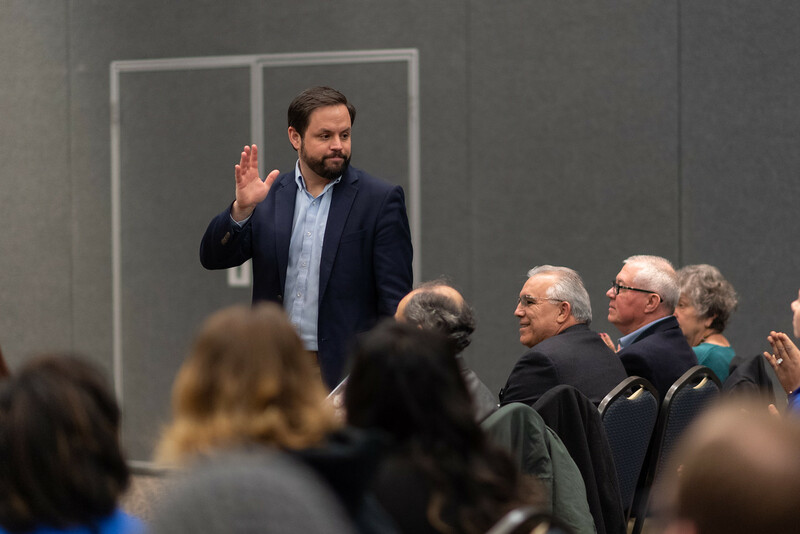 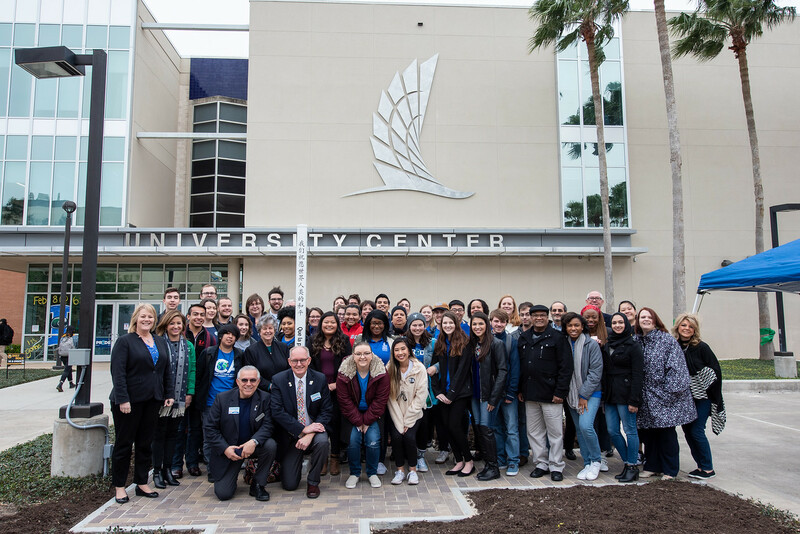 CORPUS CHRISTI, Texas – University campuses are more than just a place of learning – they are a place of self-discovery, pushing boundaries, and making life-long connections with people from different corners of the map. 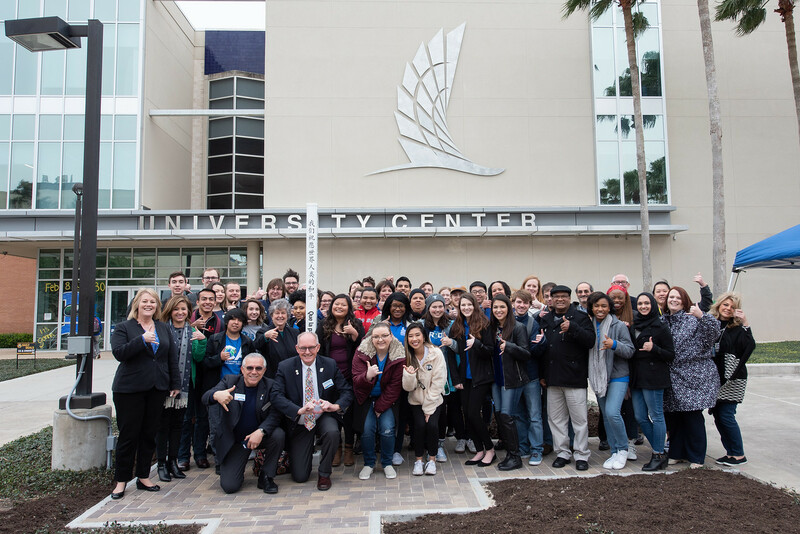 This spirit of unity, as well as diversity, was celebrated during the Texas A&M University-Corpus Christi Peace Pole Dedication as student leaders from a variety of Islander clubs, along with campus representatives and members of South Texas Rotary District 5930 joined together to commemorate the pole’s permanent placement on campus. 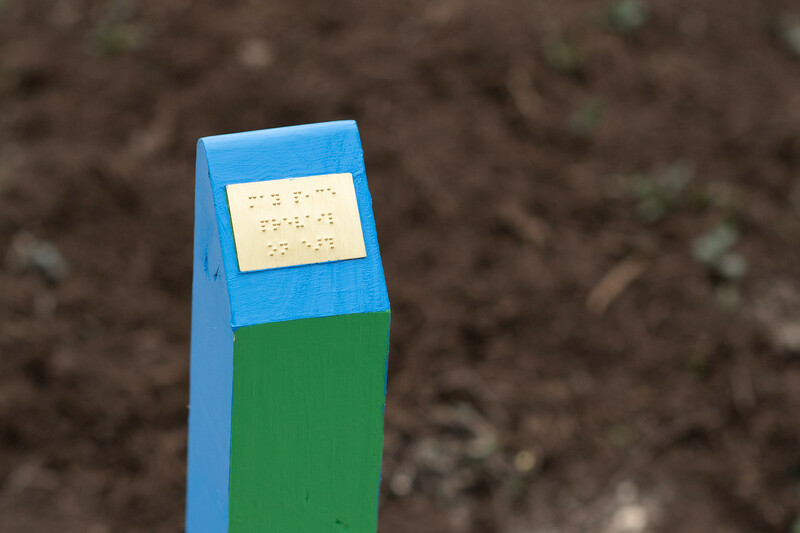 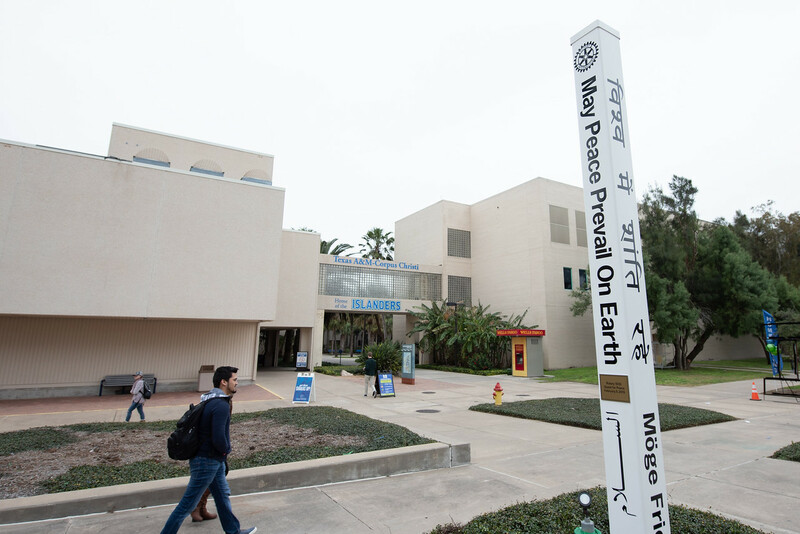 The Peace Pole, gifted to the Island University by Rotary District 5930, features the phrase “May Peace Prevail on Earth” in eight different languages, plus Braille. 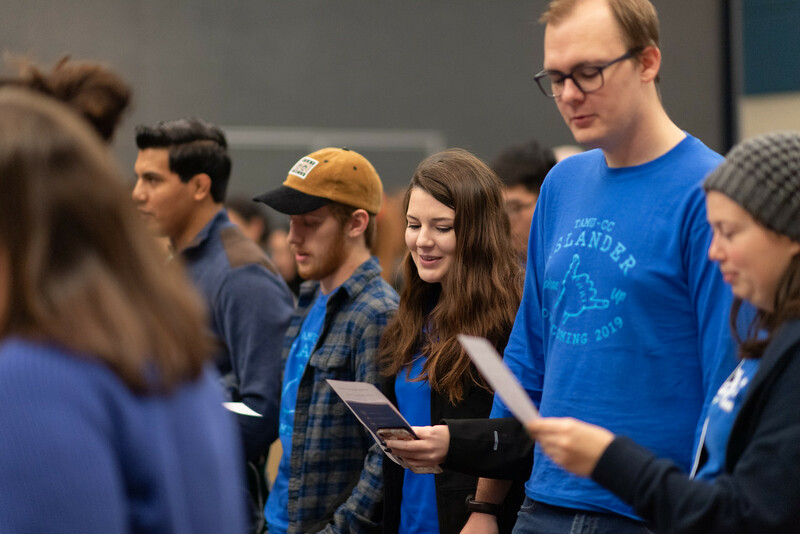 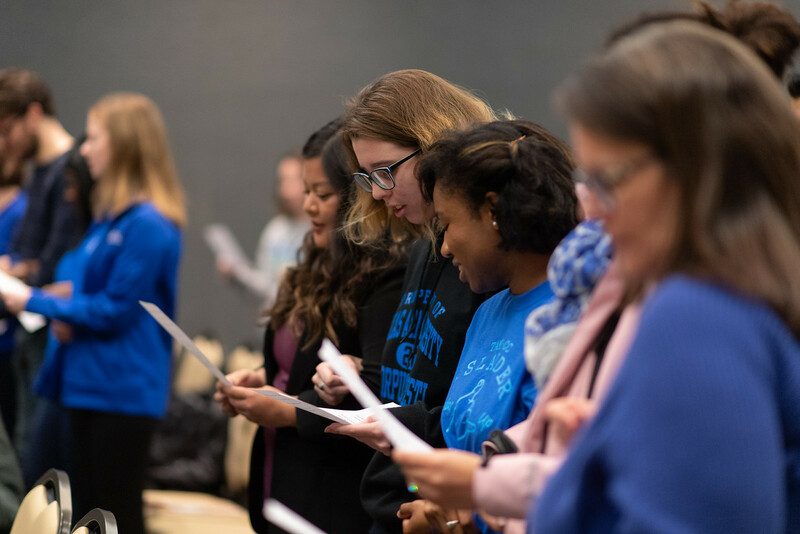 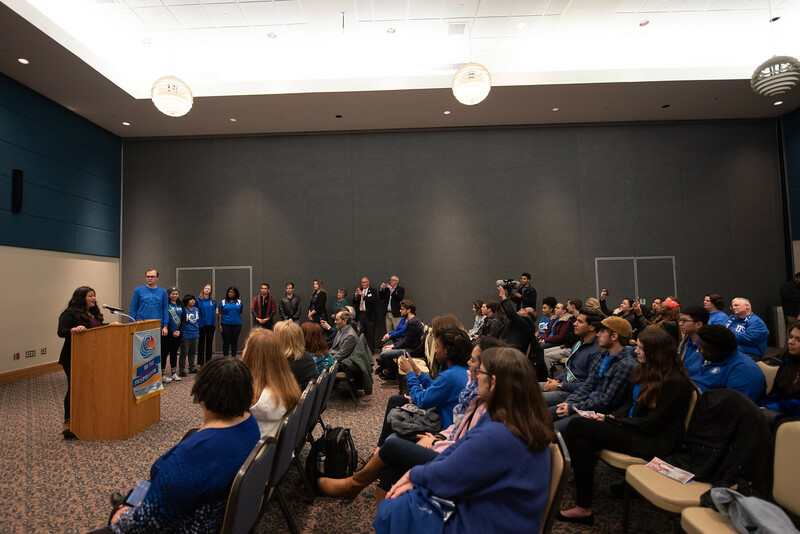 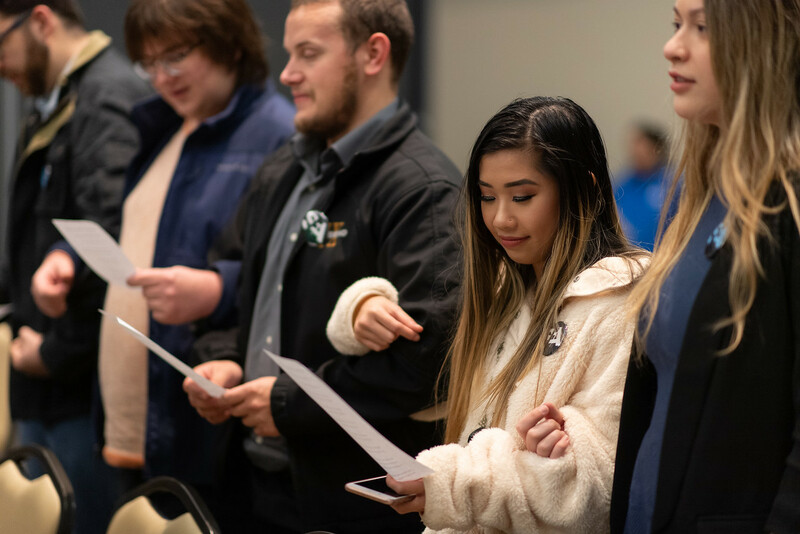 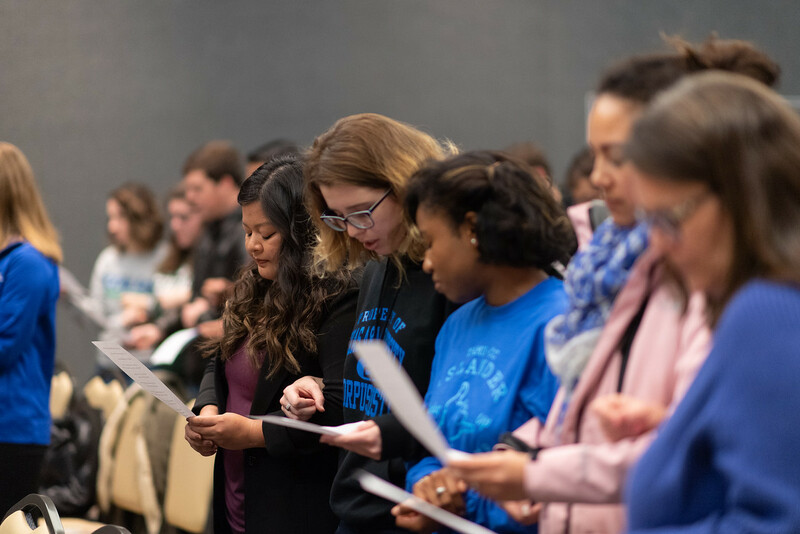 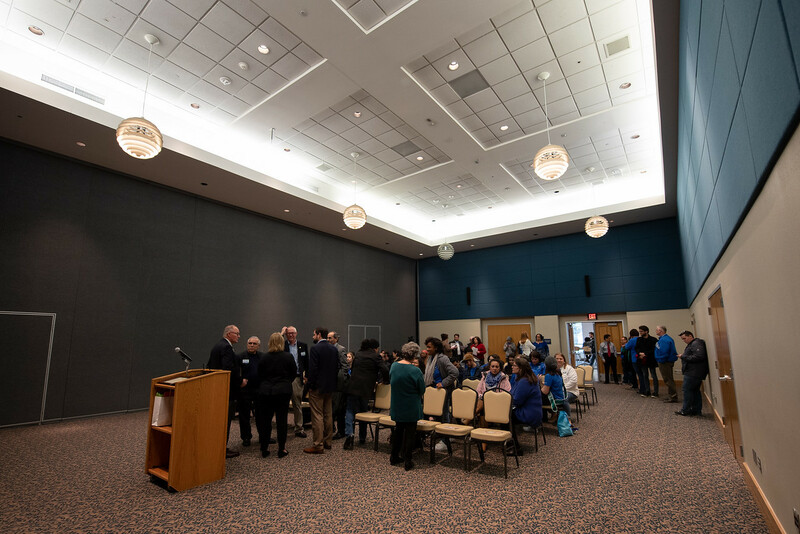 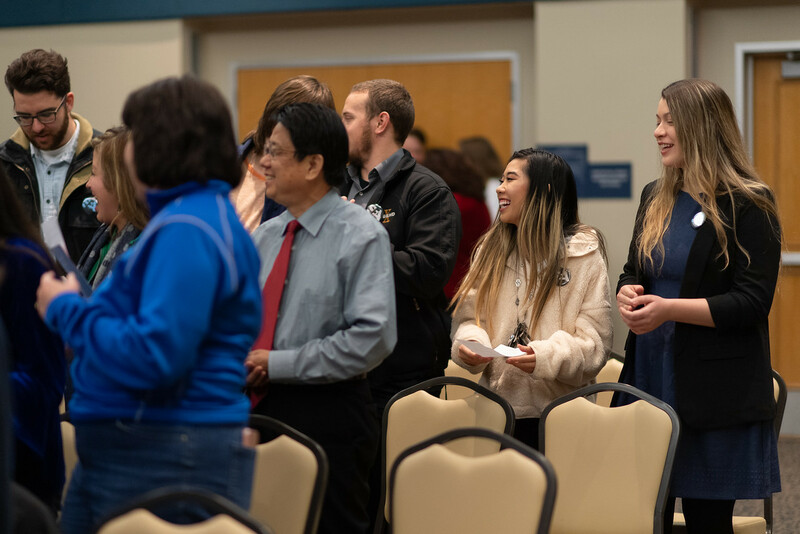 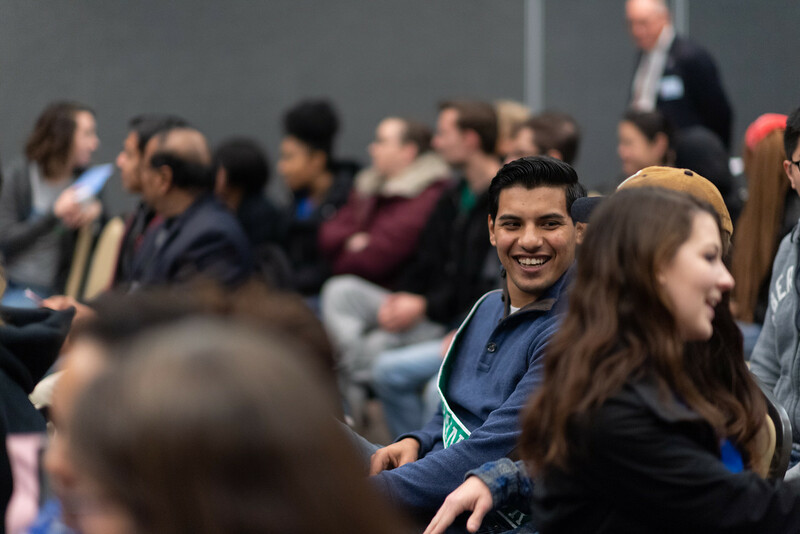 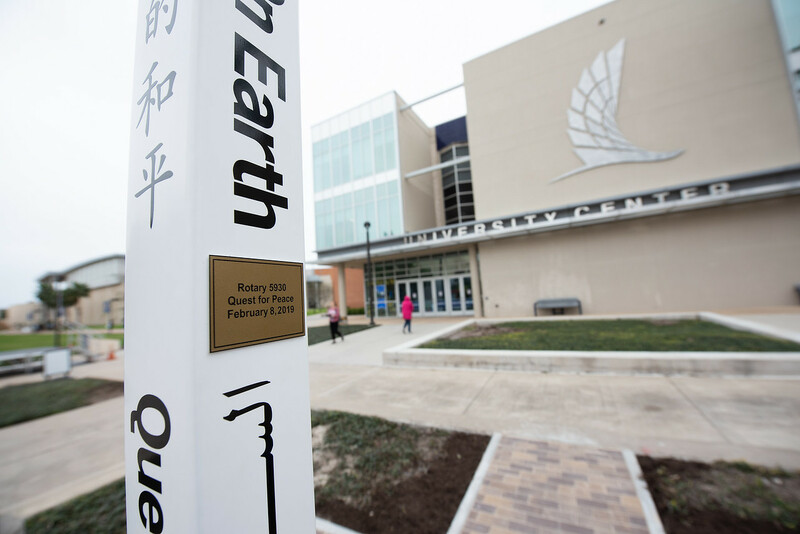 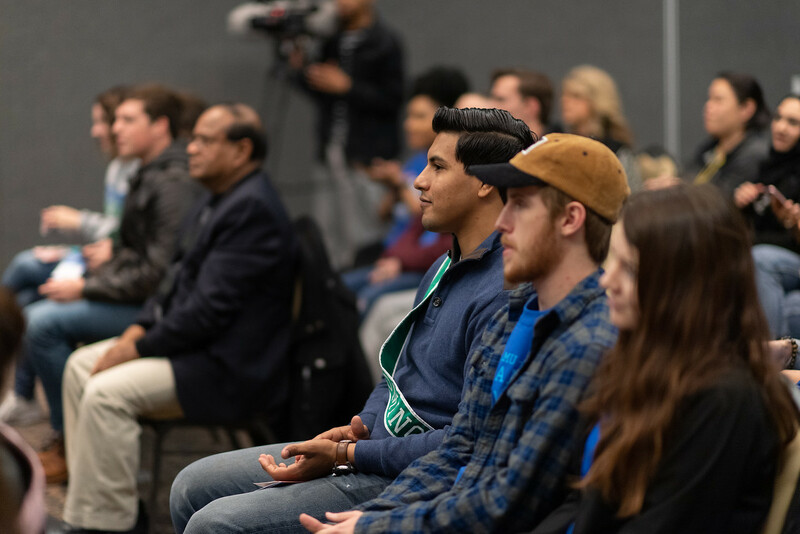 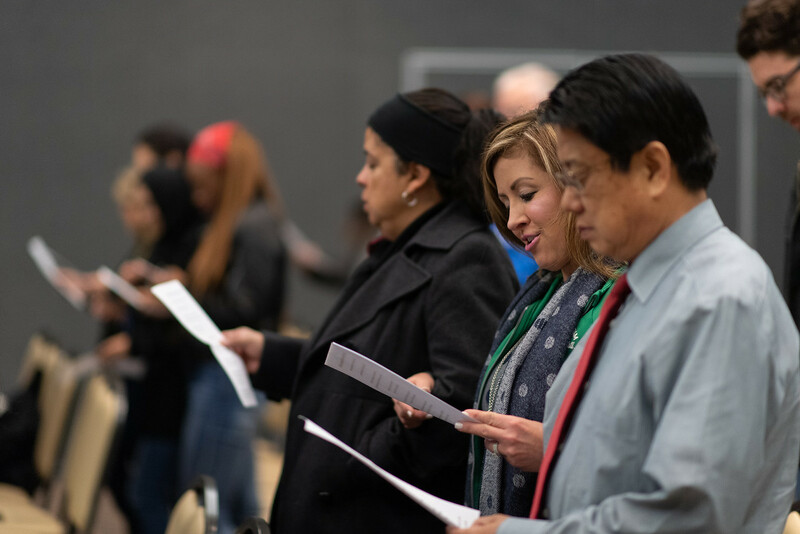 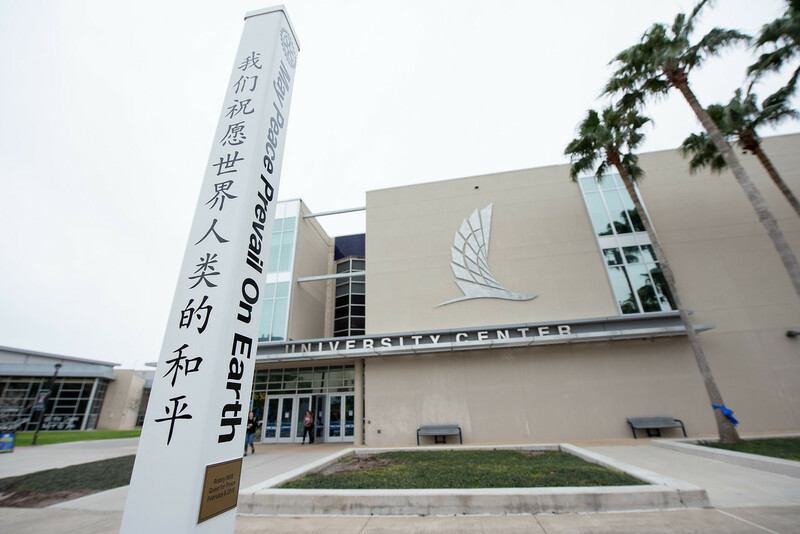 The languages were selected based on the native languages of the most populous groups on campus and include Arabic, English, German, Hindi, Mandarin, Spanish, Urdu, and Vietnamese. 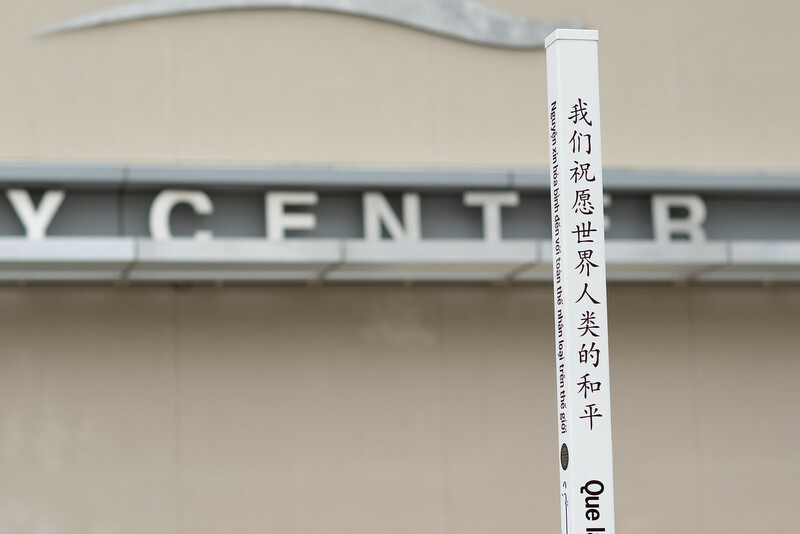 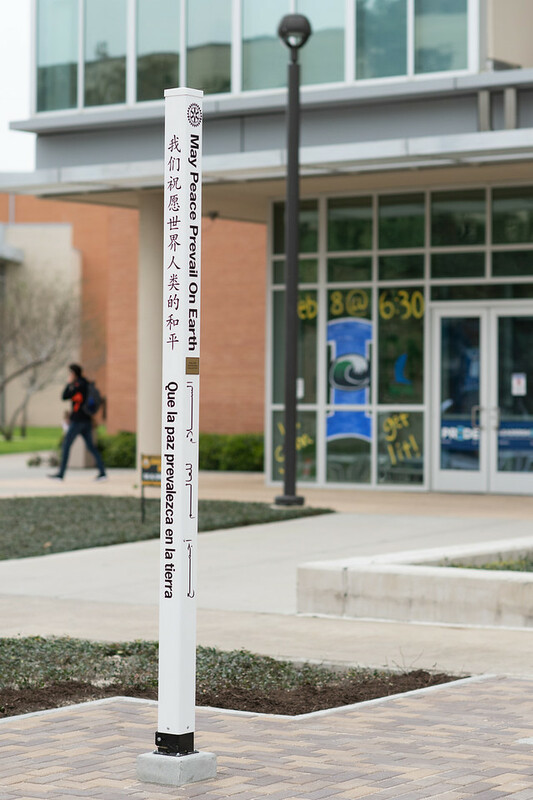 The Peace Pole is a white multi-sided post that stands nearly 8-feet-tall and is centrally located near the University Center – between the East Lawn and Anchor Plaza. 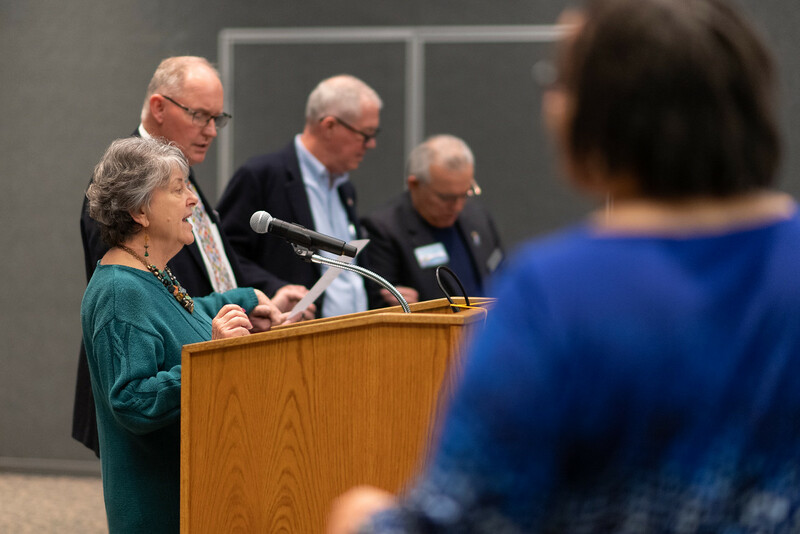 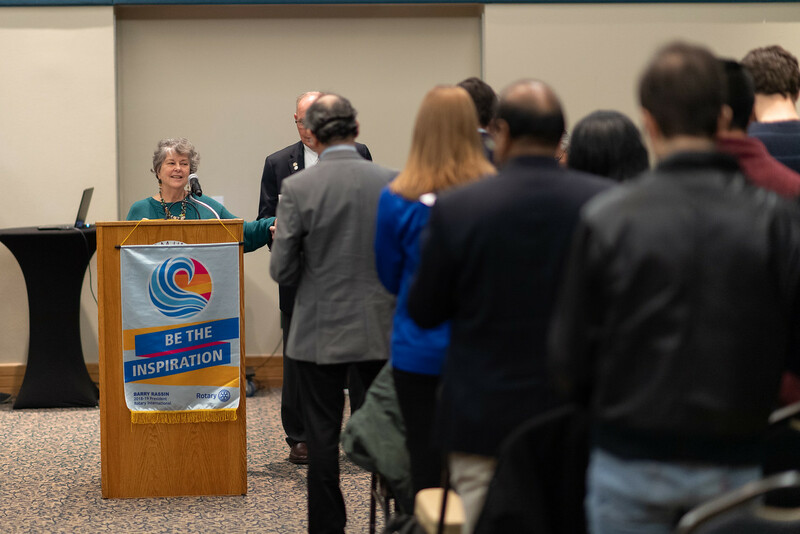 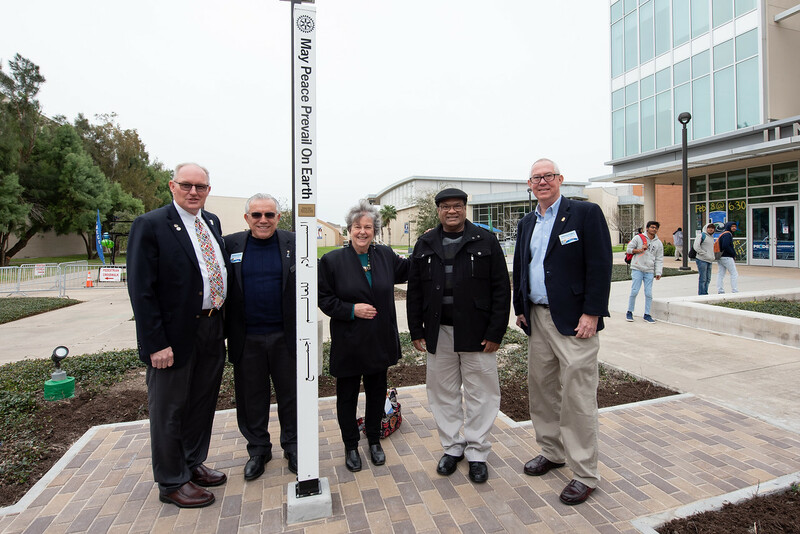 Dr. Marilyn Spencer, retired professor and department chair of economics at A&M-Corpus Christi, and past district governor for Rotary District 5930, led the force bringing the Peace Pole to the Island University. 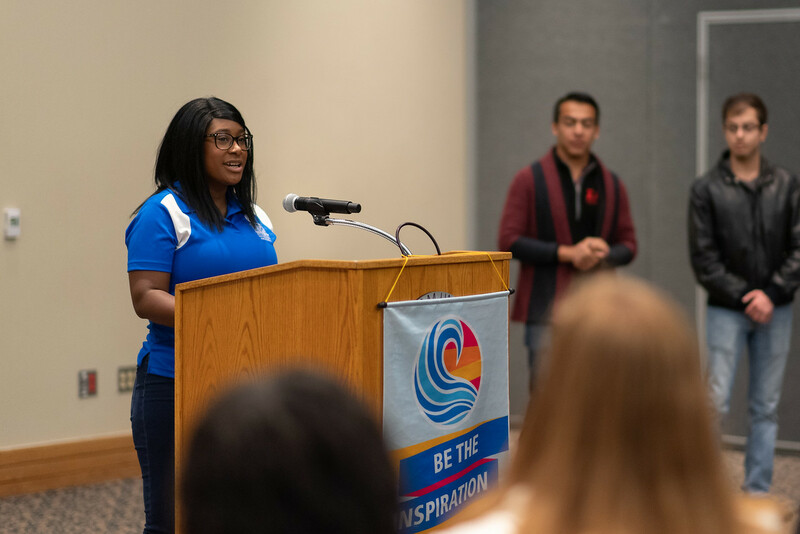 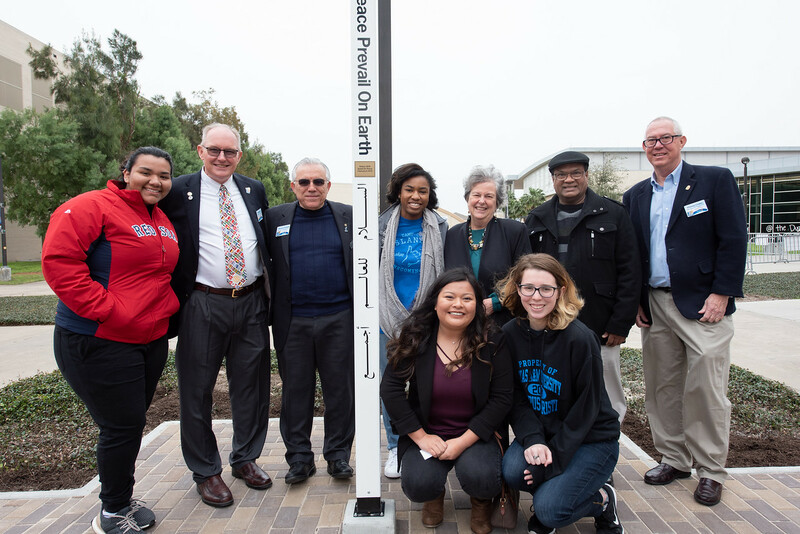 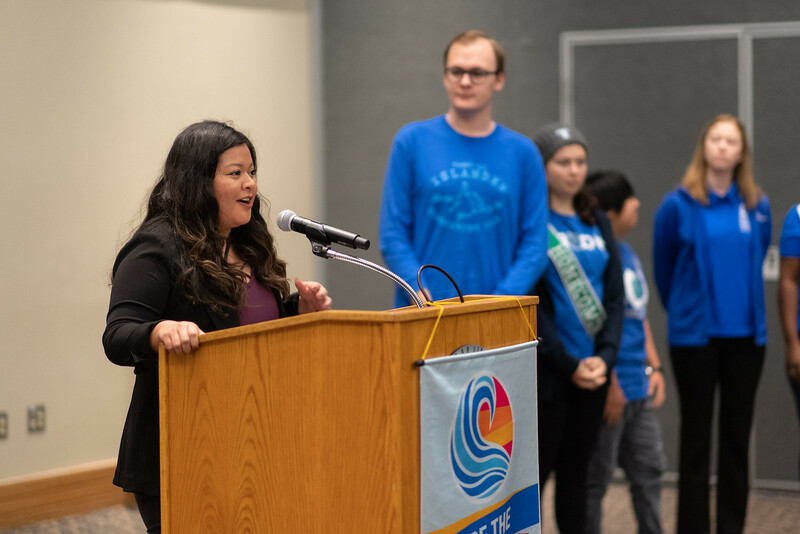 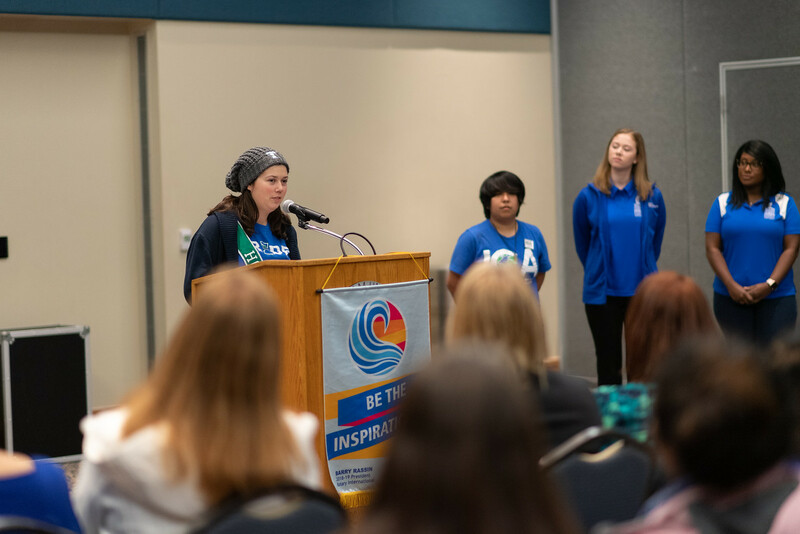 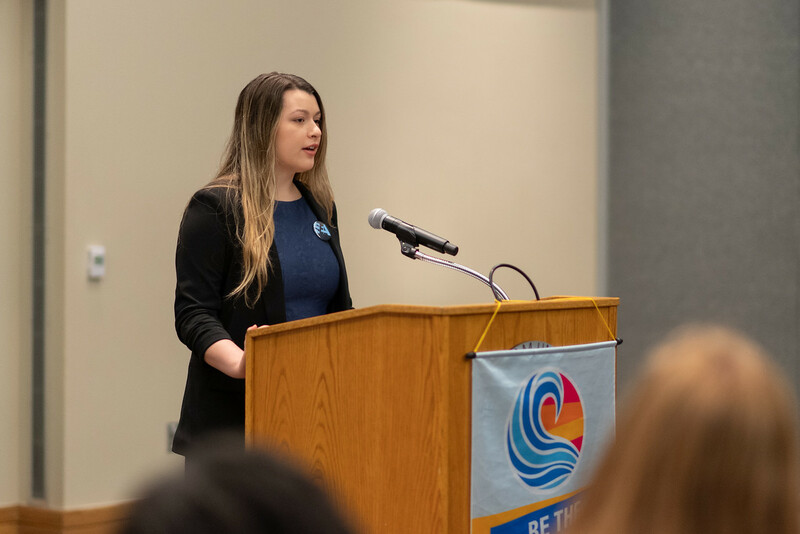 Kayla Stovall, `17 Islander alumna, Rotary Global Scholar, and A&M-Corpus Christi Coordinator of Prevention Programs, attended the Peace Pole ceremony. 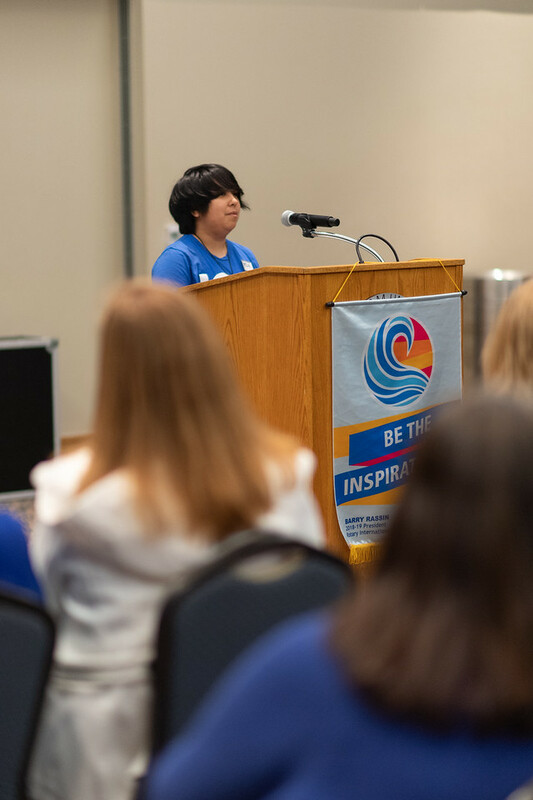 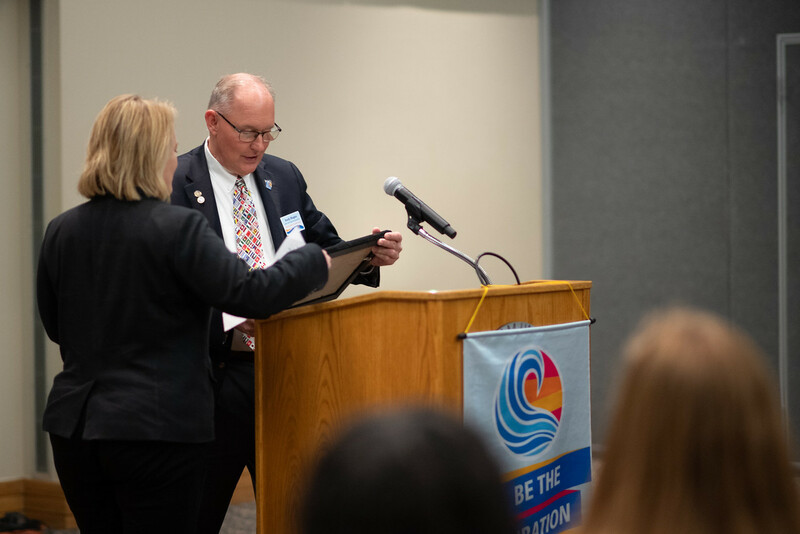 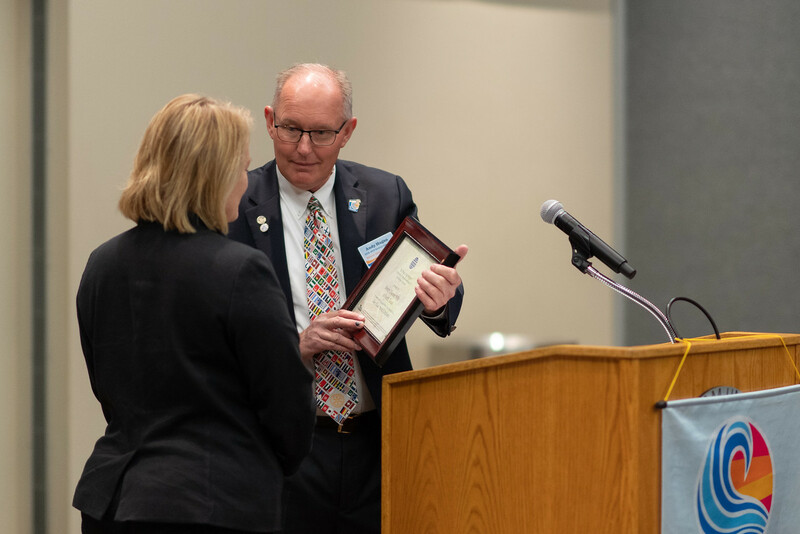 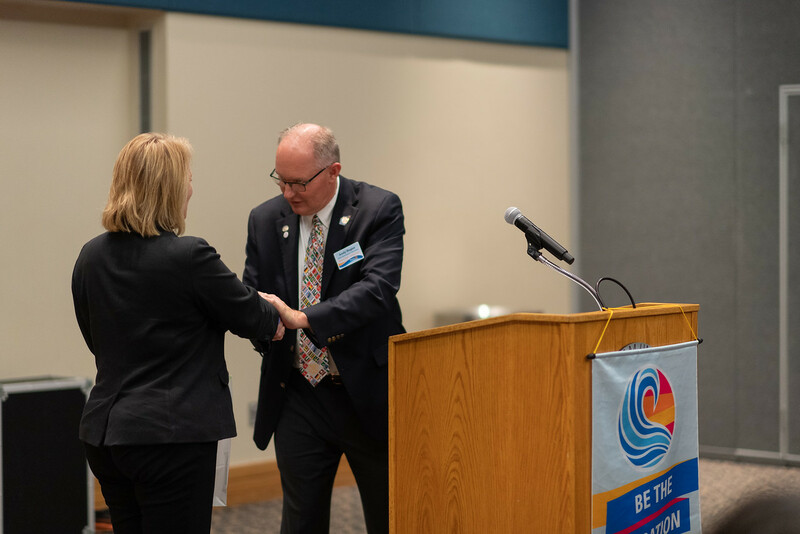 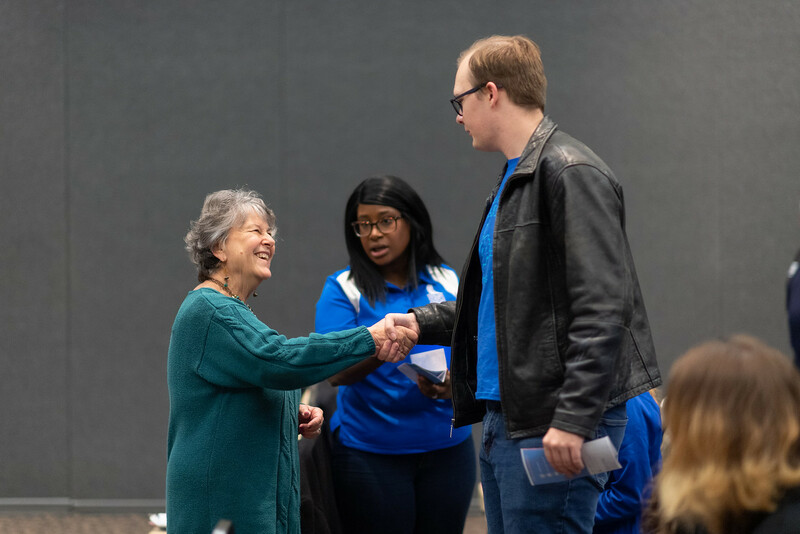 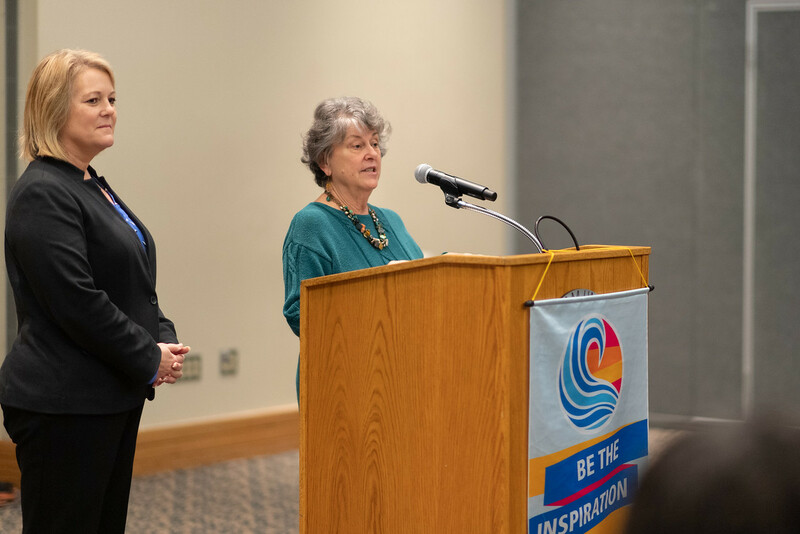 Stovall has been involved with Rotary since she was 15-years-old, and joined Rotaract, the collegiate arm of Rotary, when she started school at A&M-Corpus Christi. 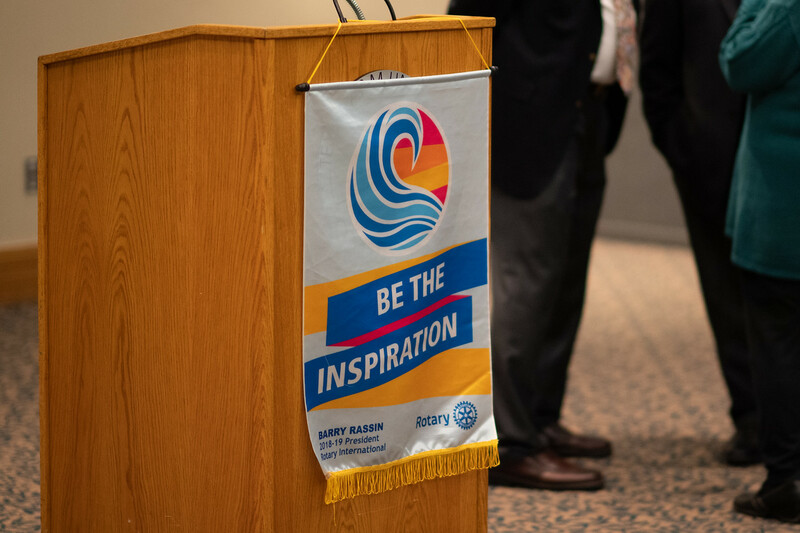 Rotary sponsored Stovall’s 2015 medical mission to Costa Rica; and in 2017, Rotary fully-funded Stovall’s Master of Public Health at the University of Edinburgh. 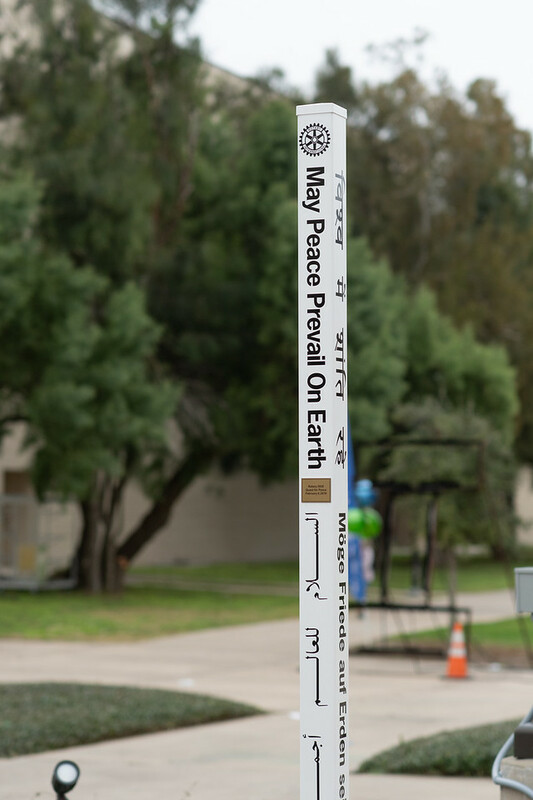 Peace Poles were first constructed in Japan in 1955 and since then, more than 200,000 have been placed around the world in nearly 200 countries. 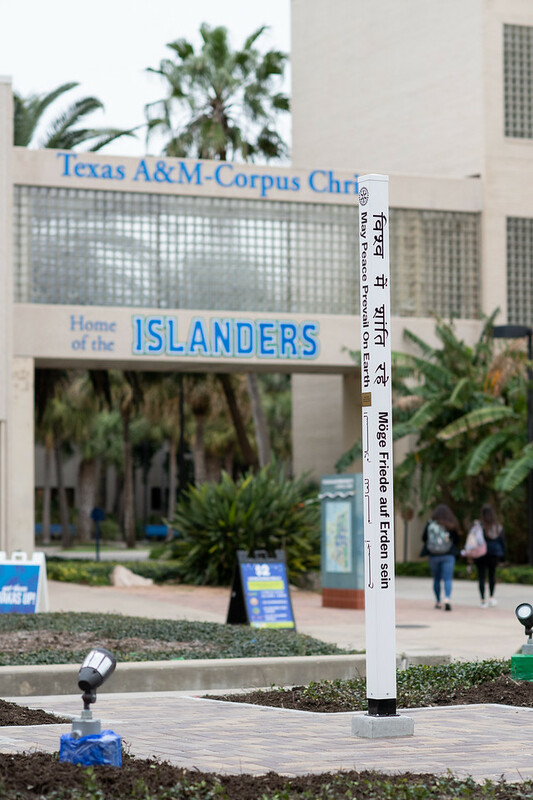 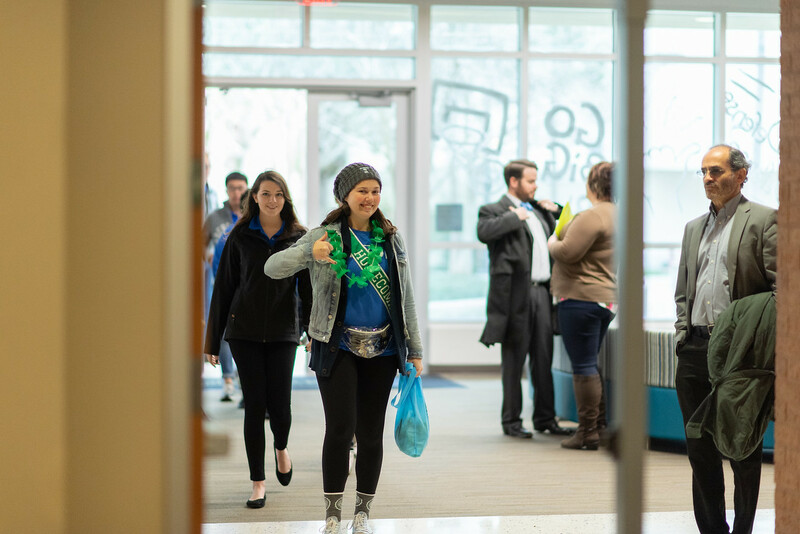 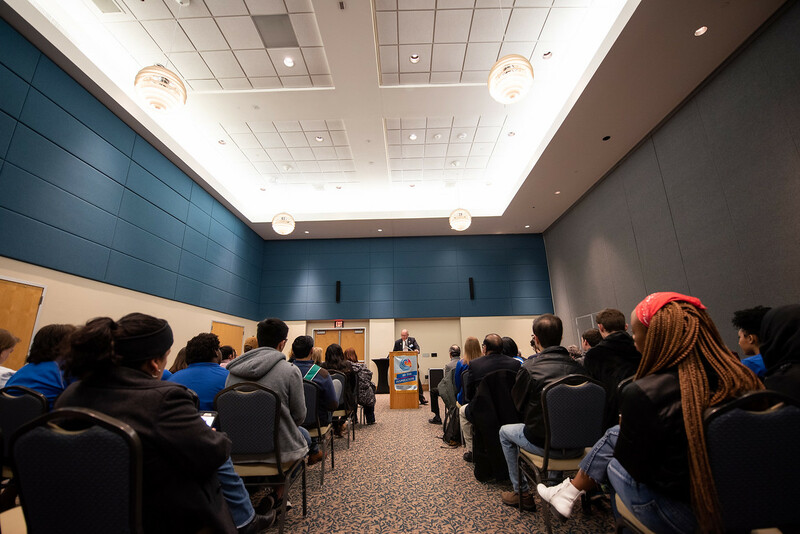 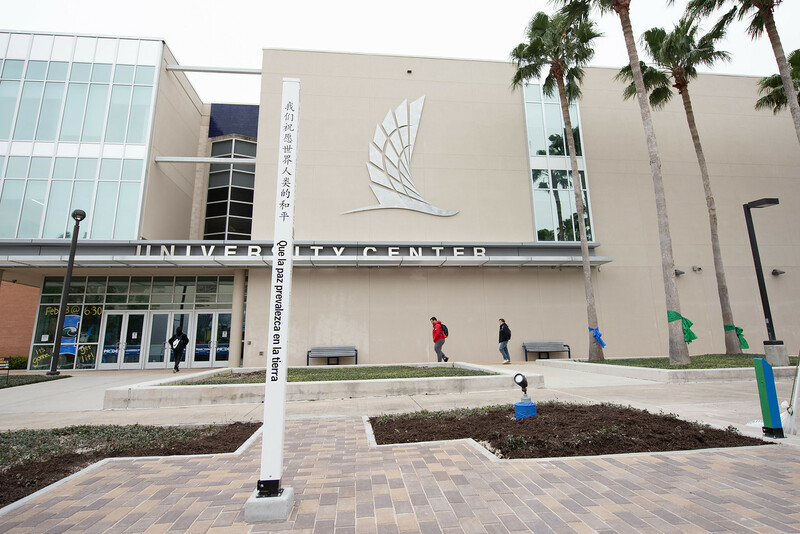 The Texas A&M University-Corpus Christi student body is comprised of students from 51 different nations and 48 states. 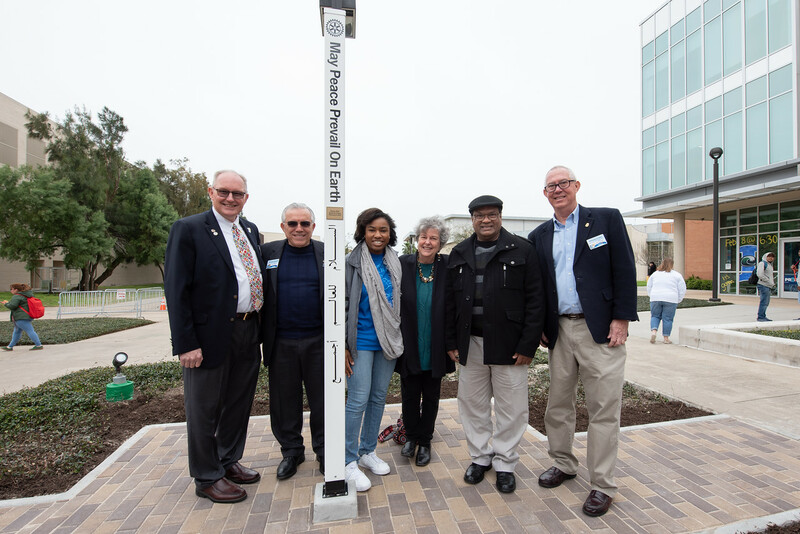 At the end of the Peace Pole dedication ceremony, attendees locked arms and sang “Let there be Peace on Earth,” in a moving tribute to the part each individual plays in the promotion of peace throughout the world.